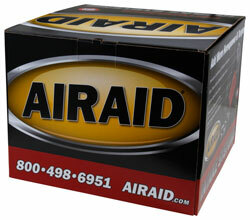 The AIRAID 403-299 fits some Ford F150 models. See vehicle applications for details. I just installed this intake and already I can see, hear and feel the difference The throttle response is right on and there is no more lag when I accelerate. Plus, When I step into it, you can hear it gulp the air. My MPG improved almost 1.5 MPGs. I'm good with that.